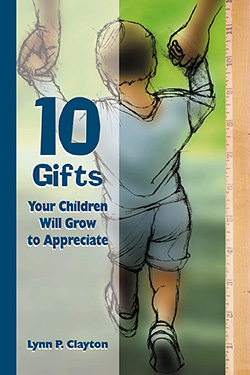 Based on scripture and real experience, 10 Gifts Your Children Will Grow to Appreciate is an encouraging, warm, and even humorous book that gives simple ways parents can provide for their children what matters most, including love, affection, guidance, attention, time, freedom, and affirmation. Parents of all ages with children of all ages will appreciate this positive, reassuring, comforting, and fun book. Lynn P. Clayton has served as Editor of the Louisiana Baptist Message. He uses his humor, good-natured teasing of humankind's foibles, and poignant recollections as encouragement to those on the journey of parenting.